Nature provides us with many healing agents but these are often pushed to the periphery of public knowledge to ensure big pharma profits. 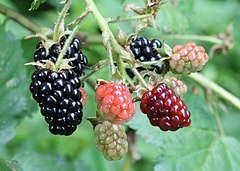 Blackberries kill antibiotic resistant staphylococcus aureus bacteria. Irish teen awarded prize for discovery. Cannabis is the oldest and most versatile medicine known to humankind. 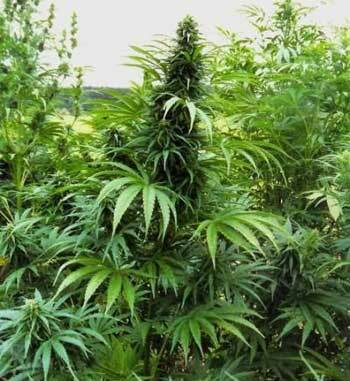 Cannabis sativa and Cannabis indica are the main cannabis variants though most strains are mixes of these. A third cannabis line is the Cannabis ruderalis, a rugged northern cannabis that has adapted to flower even under northern long summer days. Human body contains 2 types of endocannabinoid receptors CB1 and CB2. CB1 receptors predominantly located in the nervous system, connective tissues, gonads, glands, and organs. CB2 receptors, primarily found in the immune system and also present in the spleen, liver, heart, kidneys, bones, blood vessels, lymph cells, endocrine glands, and reproductive organs. Endocannabinoids are produced by our own bodies from Arachidonic acid or Omega-6 fatty acid. The two main endocannabinoids are Anandamide and 2-AG. Anandamide was discovered in 1992 and it binds to both CB1 and CB2 receptors. The name comes from the Sanskrit word 'Ananda' meaning 'bliss' and amide from its chemistry. It has been referred to as the endocannabinoid version of THC. 2-Arachidonoylglycerol (2-AG) is an endogenous agonist of the CB1 receptor. 2-Arachidonoylglycerol aka. 2-AG was discovered in 1994-1995. N-Arachidonoyl dopamine discovered in 2000. 2-Arachidonyl glyceryl ether discovered in 2001. Lysophosphatidylinositol is a contender to be the 6th endocannabinoid. Female Cannabis indica plants. These are often good for pain relief producing a nice body stone. Many people may know the 2 most prevalent phytocannabinoids, THC and CBD. Tetrahydrocannabinol is a partial agonist of CB1 located mainly in the central nervous system, and the CB2 receptor mainly expressed in cells of the immune system. Tetrahydrocannabinol was found in 1964 and it is the main psychoactive compound that brings the 'high' most recreational users are chasing. Tetrahydrocannabinolic acid THCA is the what cannabis plants produce to fend off insects from harming it. In pure form THCA is a clear translucent crystalline of white color. THC is produced from the raw THCA by a process called decarboxylation. Basically means to heat the stuff over certain temperature. THCA found in raw marijuana apparently has some health enhancing properties. The issue is being researched. Cannabidiol has very low affinity for the cannabinoid CB1 and CB2 receptors receptors but acts as an indirect antagonist of cannabinoid agonists. 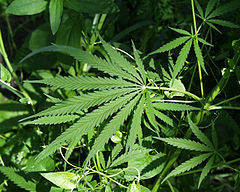 Cannabidiol was isolated and identified from Cannabis sativa in 1940. CBD is not psychoactive and it has the most medical applications of all phytocannabinoids. Cannabidiolic Acid is the raw form. Decarboxylating CBDA yields CBD. Cannabinol is a sleeping aid and has also other therapeutic qualities. Tetrahydrocannabivarin can be used to inhibit appetite. Word of caution: Many synthetic cannabinoids are dangerous and should not be administered by others than medical professionals. Arachidonyl-2'-chloroethylamide (ACEA) is a synthetic agonist of the CB1 receptor. Echinacea contains N-alkylamides, that function via cannabimemetics to provide immune-boosting and is also used to relieve anxiety, fatigue, migraines and arthritis. Black pepper contains high levels of the terpene called β-caryophyllene (BCP). BCP functions as a cannabinoid, and has a binding affinity with the CB2 receptor. Flax (linen) seeds produce cannabinoid-like compounds very similar to CBD. Cacao contains lots of magnesium, but also "happy-brain" chemicals like theobromine, phenethylamine, tryptophan, and anandamide. Cacao affects the endocannabinoid system by deactivating the enzyme called FAAH. This enzyme breaks down the endocannabinoid known as anandamide. Helichrysum umbraculigerum contains cannabigerol (CBG). Liverwort contains Perrottetinene, a cannabinoid similar to THC. Male Cannabis sativa plants in late flowering stages. Cannabis can be applied to treat a wide assortment of illnesses. In this case it is called medical cannabis. Due to the inbuilt default to always take the safe route and also to backup the back of your fellow MD colleague the Wikipedia does not yield the right infos on how useful and versatile a medication cannabis is. Research has been held back by arcane laws even as cannabis is the oldest medicine known to man and it should be gladly appreciated and not outlawed because of big pharma interests. http://www.calgarycmmc.com/ a large compendium on medical cannabis sorted alphabetically by ailment. http://expand-your-consciousness.com/100-scientific-studies-agree-cannabis-annihilates-cancer/ about 100 nih.gov studies linked some cases briefly described. https://healer.com/ - a website by Dr. Dustin Sulak D.O. - a renowned integrative medicine physician based in Maine, whose practice balances the principles of osteopathy, mind-body medicine and medical cannabis. BPJ Volume 163, Issue 7 - 'Special Issue:Cannabinoids in Biology and Medicine, Part I.' a 2011 special issue of w:British Journal of Pharmacology. MARIJUANA AS MEDICINE? - The Science Beyond the Controversy (full book online), a somewhat skeptical and reserved book published in 2000 that you can read online from The National Academies Press. Cannabis has been found to be beneficial for Alzheimer's sufferers. Especially true this is for THC which inhibits the formulation of toxic beta amyloid protein plaque on braincells which causes Alzheimer's disease. Wikipedia article on Alzheimer's disease research has only a few words about cannabis therapeutics and those are very sceptical. Cannabis helps with many autoimmune diseases due to its anti-inflammatory and other properties. Cannabis helps with Rheumatoid arthritis. Cannabis helps with Coeliac disease. You could also be looking for dermatitis, also known as eczema. Cannabis helps with Psoriasis and when applied externally. Warning: Smoking the cannabis as the method of cannabinoid delivery the smoke contains quite a few carcinogenic substances i.e. cancer inducing substances. See the section administering cannabis for alternatives to smoking it. Internet is rife with stories about winning the battle against cancer with the help of phytocannabinoids. What does the science say? Pain relief - cannabis works very well against the somatic and nonsomatic pains brought on by cancer. Appetite stimulator - cannabis helps maintain a good appetite. Phytocannabinoids are harmless to healthy cannabinoid receptor containing cells. Dr. Manuel Guzmán also works as a molecular biology researcher on researching the potential of cannabis as a cancer medication in the Complutense University of Madrid. Dr. Wai Liu works on researching medical cannabis for cancer (among other things) at the w:St George's, University of London. Glioblastoma is the most aggressive form of brain cancer, but it may potentially be treated with cannabis. In 2018 Insys Therapeutics announced the the FDA has given CBD an orphan drug designation (ODD) to CBD for treating gliomas. Langerhans cell sarcoma is extremely rare. Laboratory and mice studies seem to indicate that THC can slow down the growth of lung cancer tumours from growing by binding to the same receptors as epidermal growth factor (EGF): the epidermal growth factor receptors (EGFR). w:Osteosarcoma is a bone cancer. Cannabis helps with prostate cancer. Study shows THC helps with Crohn's disease. Full extract cannabis oil in a syringe for easy dosing and travel is usually administered in drops to the gums or under the tongue. Cannabis can be used to treat epilepsy. It has been suggested that clinical endocannabinoid deficiency syndrome (CEDS) may be causing migraines. Many studies found medical cannabis as an effective prophylaxis against migraine attacks, especially the high CBD strains. CBD Testers article on treating migraines with medical cannabis and link to the study 'Effects of Medical Marijuana on Migraine Headache Frequency in an Adult Population' at PubMed that the article is talking about. Cannabis is anti-inflammatory which helps relieve some of the pain. Pain is a signal of inflammation so counter-acting inflammation causing things cannabis naturally helps lower the pain. Cannabis can help with various non-somatic problems such as psychiatry, depression and PTSD. First ever clinical trial of medical marijuana for PTSD sponsored by w:Multidisciplinary Association for Psychedelic Studies to start at the Scottsdale Research Institute in Arizona (2016) Update on phase 2 of the study (2017). High Times reports the clinical trial completed in 2019 results coming later on. Cannabis helps with Amyotrophic lateral sclerosis (ALS) also known as Lou Gehrig's disease and motor neurone disease (MND). Cannabis is very good against Multiple sclerosis. Prince Charles knew of this way back in 1998. Cannabis concentrate known as "shatter"
Vaping (short for vaporizing), a method where the plant material is heated hot enough for the cannabinoids to become gaseous but cold enough that the plant matter does not combust and thus avoiding the carcinogens that come from burning the plant matter. Vaping is also the preferred method to consume concentrates. Edibles, tinctures and cannabis oil may be administered orally. Cannabinoids are soluble to alcohol and to fat and cannabis can be infused into many forms of edibles, but the problem is with efficiency as your stomach acids will destroy a lot of the cannabinoids. Rectal - some doctors recommend taking cannabis rectally as this is method of administering allows you to take very large doses efficiently. Topicals - for some skin affecting conditions this is a good way to administer the medicine. Many skin condition sufferers praise the combination of cannabis and coconut oil to make a topical to apply to the affected skin. Dandelion root concentrates found effective against chemo-resistant melanoma and leukemia. "Since the commencement of this project, we have been able to successfully assess the effect of a simple water extract of dandelion root in various human cancer cell types, in the lab and we have observed its effectiveness against human T cell leukemia, chronic myelomonocytic leukemia, pancreatic and colon cancers, with no toxicity to non-cancer cells. Furthermore, these efficacy studies have been confirmed in animal models (mice) that have been transplanted with human colon cancer cells." Elderberries (or Elder) belong to the genus w:Sambucus and may be useful for various kinds of flu. Ginger contains w:Gingerol, a substance with powerful anti-inflammatory and antioxidant properties. Pineapple is effective cough medicine due to its Bromelain content. Pineapple fruit and it's stem contain Bromelain, an enzyme with anti-cough properties. In vitro and in vivo studies demonstrate that bromelain exhibits various fibrinolytic, antiedematous, antithrombotic, and anti-inflammatory activities. Bromelain accounts for many therapeutic benefits like the treatment of angina pectoris, bronchitis, sinusitis, surgical trauma, and thrombophlebitis, debridement of wounds, and enhanced absorption of drugs, particularly antibiotics. Stevia is a sweetener and sugar substitute extracted from the leaves of the plant species Stevia rebaudiana, native to Brazil and Paraguay. Lyme disease also known as Lyme borreliosis, is an infectious disease caused by a bacterium named Borrelia spread by ticks. Stevia works against the Lyme disease. Turmeric (Curcuma Longa) of genus Curcuma. Turmeric, used as spice, medicine and dye is made of ground roots of Curcuma Longa. Turmeric contains curcumin, a curcuminoid. Curcumin has been found to have anti-cancer properties. Curcumin interferes with cancer via multiple cell signaling pathways, including cell cycle, apoptosis, proliferation, survival, invasion, angiogenesis, metastasis and inflammation. Study: Curcumin and Cancer Cells: How Many Ways Can Curry Kill Tumor Cells Selectively? 'Optimized Turmeric Extract Reduces β-Amyloid and Phosphorylated Tau Protein Burden in Alzheimer’s Transgenic Mice' suggests that turmeric may be useful for Alzheimer's sufferers as it has been shown to inhibit beta amyloid aggregation and secretation in mice. Get Holistic Health publishes lots of articles on natural therapeutics, but also other topics. United Patients Group focuses on the healing potential of cannabis, but also carries stories on other natural therapeutics. United Patients Group also maintains and updates a directory of medical cannabis health care professionals and clinics. ↑ Mechoulam, Raphael; Peters, Maximilian; Murillo-Rodriguez, Eric; Hanuš, Lumír O. (2007). "Cannabidiol – Recent Advances". Chemistry & Biodiversity 4 (8): 1678–92. PMID 17712814. doi:10.1002/cbdv.200790147. ↑ 7.0 7.1 Cascio, MG; Gauson, LA; Stevenson, LA; Ross, RA; Pertwee, RG (2010). "Evidence that the plant cannabinoid cannabigerol is a highly potent α2-adrenoceptor agonist and moderately potent 5HT1A receptor antagonist". British Journal of Pharmacology 159 (1): 129–41. PMC 2823359. PMID 20002104. doi:10.1111/j.1476-5381.2009.00515.x. This page was last edited on 16 April 2019, at 15:10.